Raheem Sterling started six of England's seven games at the 2018 World Cup in RussiaEngland impressed at the World Cup in reaching the semi-finals but despite the positives there is still a problem in midfield, where we haven't produced a game-changer since Paul Gascoigne in 1996.You need players who can make a difference by themselves - a maverick, if you like. They might have defensive faults and they might take risks which people don't like, but I just think these off-the-cuff players are what we need.People say Raheem Sterling is a number 10, traditionally the gifted creative player's role - but I don't think he is. We have got the best facilities and the most money in the football world but, unfortunately, we have got too many coaches who don't want to put up with a particular type of talented player - and they want everybody to be reliable.Coaches don't like players taking risks because they lose the ball in certain areas. They would rather have a player who can't dribble but can pass and play a one-two before putting it in the box.What annoys me most about English football is that we have to pay to import what we used to produce. At my age, we didn't go to clubs until we were 13 or 14 - so they didn't have time to coach it out of you.Now you bring them in at five and six and they lose all of their tricks by 10. It's not everyone - it's probably about 90% - but it's all about reliability. We have a lot of good players with good legs who can pass the ball but we need a bit more to go to another level.England manager Gareth Southgate picked Liverpool's Adam Lallana in the squad for the Nations League game against Spain, but he has had to drop out with an injury. He is technically good, but he has to be off the leash more. He has got two good feet and he should create and score more goals.In terms of those outside of the squad, people talk about West Ham midfielder Jack Wilshere - but he is not a creative player. He is tidy on the ball but he is not a player who picks it up and you say 'wow, he is going to take two players on and thread it through'.Leicester's new signing James Maddison looked good at Manchester United in the Foxes' first game and then scored the week after. He looks like he has an edge and a swagger about him. I don't think he is worried about making mistakes and I'm disappointed he is not in the squad for these games against Spain and Switzerland.Nathan Redmond at Southampton can take people on and Bournemouth's Junior Stanislas could play international football. He could play in that midfield three because he can create, shoot, dribble and pass. 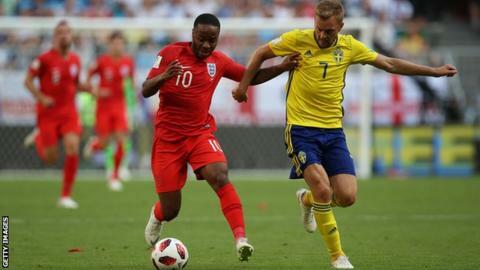 From under-16 to under-21 level, there is a physical difference between players and we have always been strong and athletic.If you look at the size of our age-group sides, it is very rare to see the opposition as big and strong as us.If you speak to our opponents about England, they will talk about strength and legs - but at senior level, a lot of those players drop off the radar because they aren't stronger and quicker than everyone else any more. Everyone else has developed.Two young players who have impressed at junior level are Manchester City's Phil Foden and Jadon Sancho of Borussia Dortmund.It is early doors for Foden but he has got a good club coach in Pep Guardiola to bring it out of him and he will be allowed to think for himself in the final 30-40 yards. He will have bad days when his opposite number gets on top, but it happens. I'm hoping he will be a game-changer.Sancho has got a trick but can he put it together and can Southgate be patient with him? It is a big two years for those type of players. *Chris Waddle was speaking to BBC Sport's Mantej Mann.